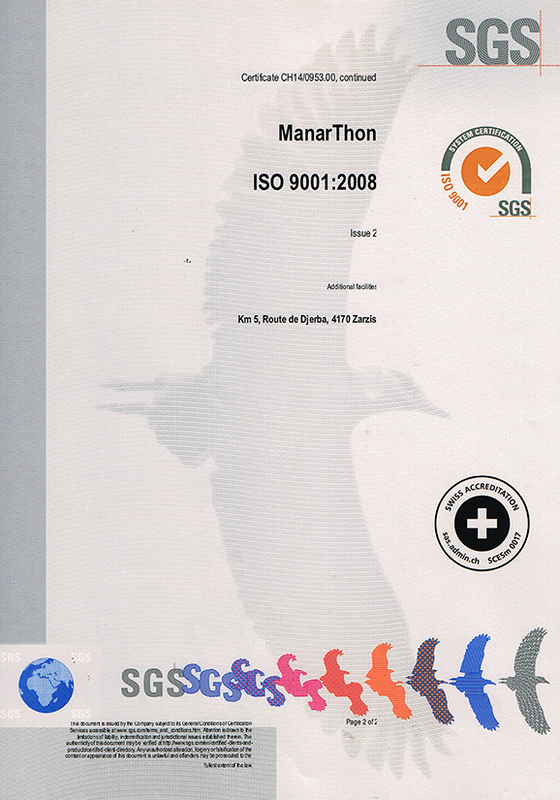 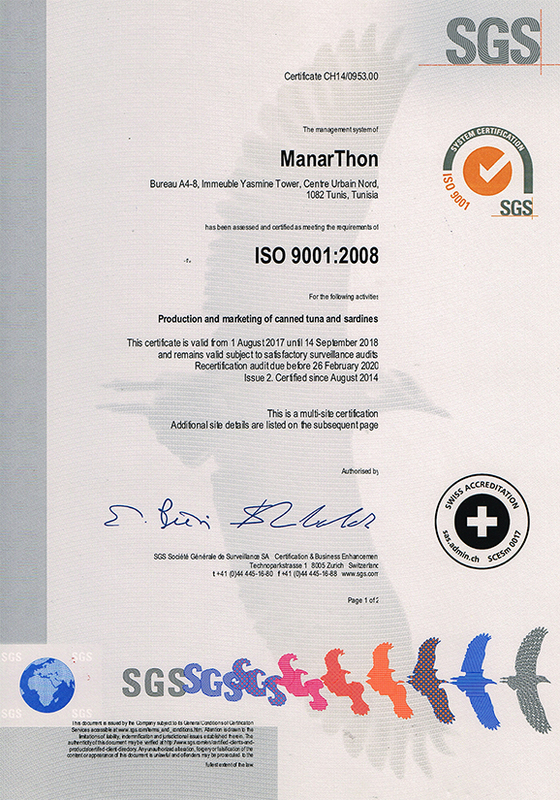 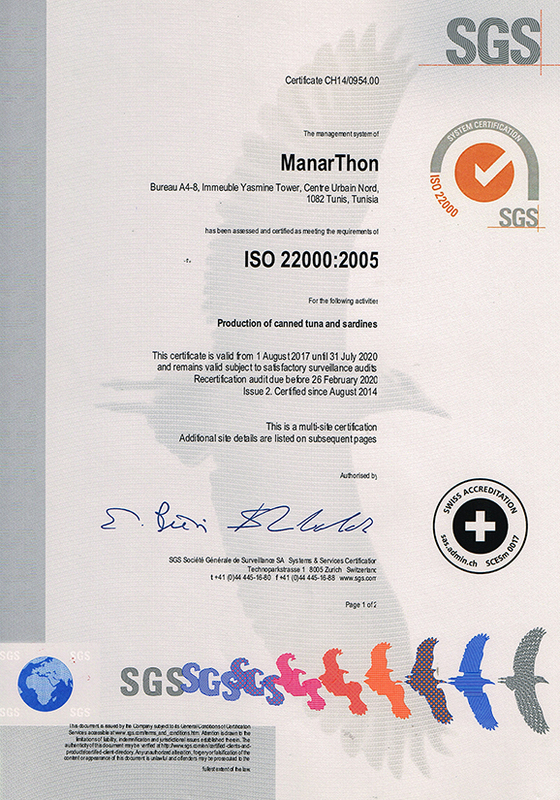 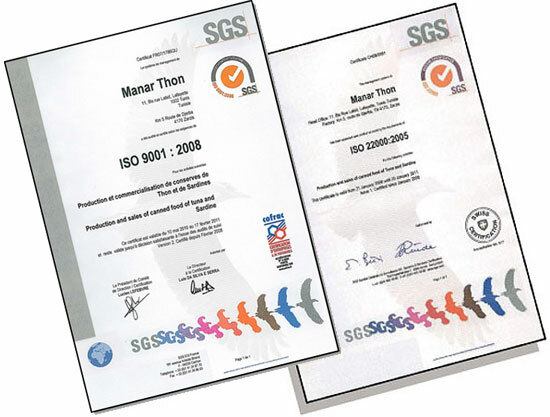 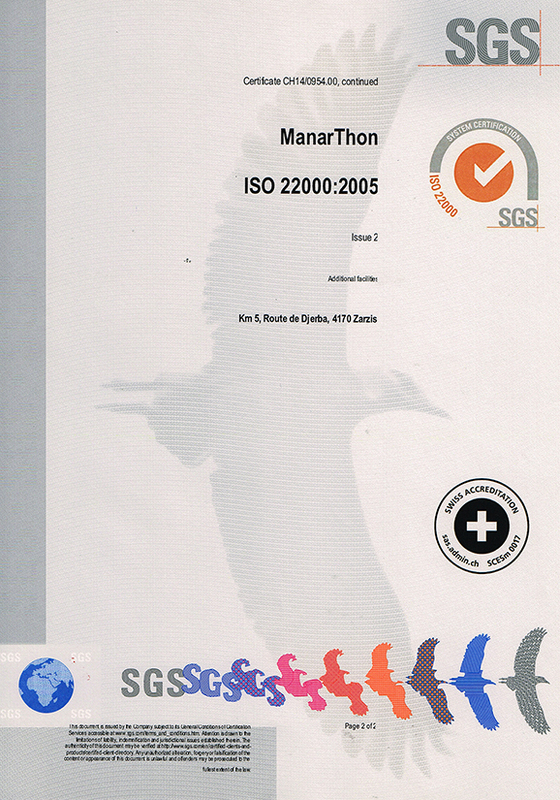 ManarThon follows precisely the most stringent international hygienic regulations for food processing. 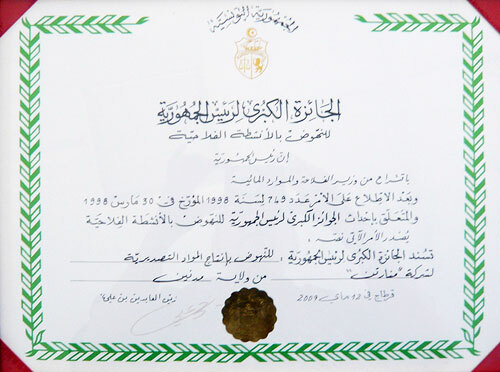 All the production stages remain under control and fulfill high standards required by International certification organizations. 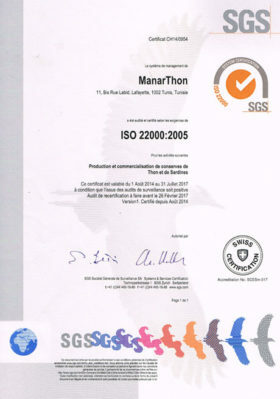 Ensuring complete traceability remains our priority. 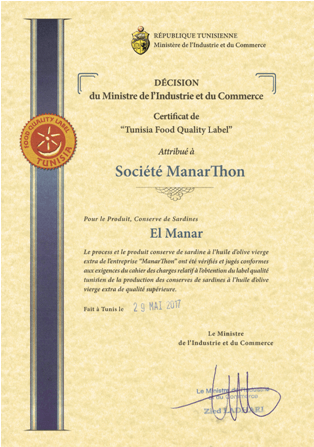 In 2016, ManarThon has become a member of international Private Label Manufacturers Association. 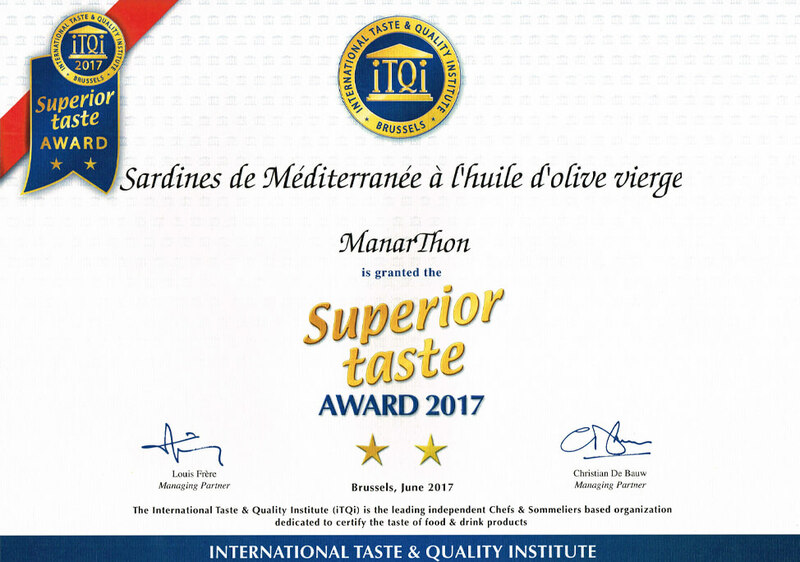 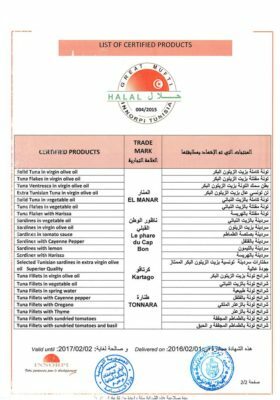 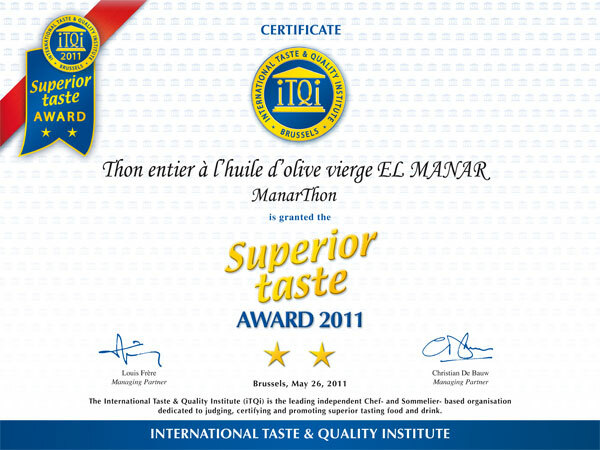 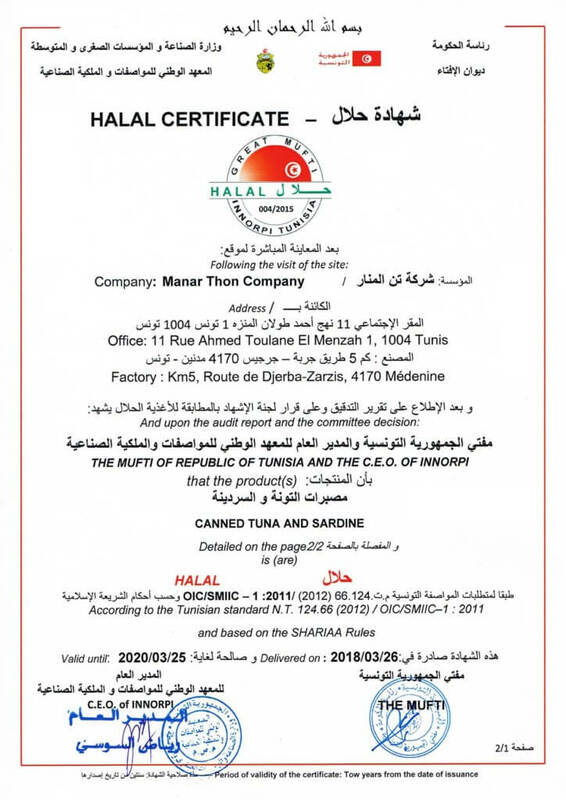 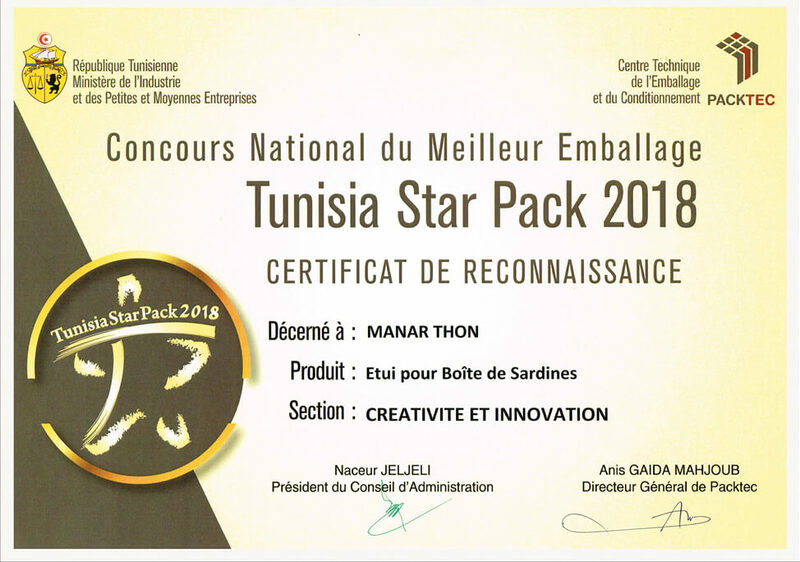 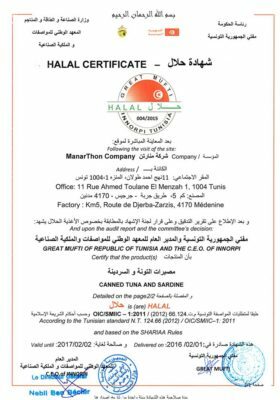 The whole range of ManarThon solid tuna in virgin olive oil, has obtained, three times, the Superior Quality Award (2001, 2014 and 2017) from the International Taste and Quality Institute ITQI of Brussels.